ASPIRE55 - Asia's First Virtual Retirement Village - ASPIRE55 Lunch Hour Talk "What is Advance Care Planning?" ASPIRE55 Lunch Hour Talk "What is Advance Care Planning?" "WHAT IS ADVANCE CARE PLANNING?" Mansor entered the social work and counselling sector in 2006 and worked with low-income families with young children. In 2008, he transited to the school system and became a school counselor, specializing in assisting students with emotional and behavioral issues. 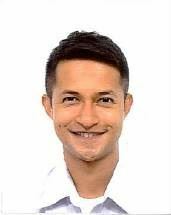 After more than 6 years of service, he decided to join Singapore General Hospital (SGH) in 2015 as a Programme Coordinator for Advance Care Planning (ACP). He works alongside multi-professional healthcare providers to facilitate advance care planning conversations for patients and their loved ones. Mansor also sits in the SGH ACP Communication committee to coordinate outreach efforts within and outside of the hospital. Mansor has provided numerous talks and training on Advance Care Planning for patients and healthcare providers in SGH and external organisations. Understanding ACP as an complementary process to other legal forms such as Advance Medical Directive, Lasting Power of Attorney and Will. How to start your own ACP?